1. " Lem" 1 Sivey was born October 1855 in Danville,Vermilion Co.,IL. & died May 5, 1912 in Fort Scott,Bourbon Co.,KS., He was son of Absalom Grant Civey & Mary Elizabeth Gritton. He married Emma Williams, daughter of // Williams and //. She was born December 1862 in IN., and died April 11, 1935 in Kansas City,Wyandotte Co.,KS..
On 1900 Wyandotte Co. KS. census KC Township shows them living between 4th & Packard. It shows her father as being born in Canada and her mother in PA. Her husband's father being born in Maine and mother in ENGLAND. (Charles Harmon/Hammon) His occupation as day laborer. His name was spelled Harmon on 1900 census. They lived at 104 SE 16th St. in KCK according to family notes. She & her second husband are buried in Highland Park Cemetery in Kansas City, KS. at 3801 State St. She died in the Bethany Hospital in Kansas City, KS.. after a short illness. She attended the Grandview Christian Church there where she was a charter member. The members of the church put in a memorial window in her honor. +2i.Arthur Sylvester2 Civey, born June 04, 1880 in Bethany,KS. ; died January 06, 1967 in Warrenton,Warren Co.,MO..
+3ii.Cora Civey, born Abt. 1879 in of High Hill,Montgomery Co.,MO. ; died in Kansas City,Wyandotte Co.,KS.?. 4iii.Florence Maude Civey, born February 1882 in KS.. She married Fred F. McGovern 1900; born June 1879 in KS.. Lived at 1615 W. 14th St. in Kansas City. He was a clerk for English S & E. Co. Not sure if they had any children. 2. Arthur Sylvester2 Civey (Lem1) was born June 04, 1880 in Bethany,KS., and died January 06, 1967 in Warrenton,Warren Co.,MO.. 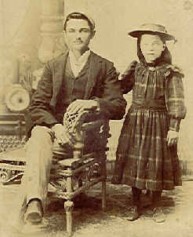 He married Mamie Myrtle Calvin May 10, 1898 in Bethany,KS., daughter of David Calvin and Millie McWilliams. She was born January 18, 1882 in Bethany,KS., and died October 08, 1962 in New Florence,Montgomery Co.,MO..
On 1900 census in Wyandotte Co.,KS. his occupation was listed as baker. He lived on South 7th St. in Kansas City,KS. Lists his year of birth as 1879 and his wife as 1882. (This date seems unclear, either 1879 or 1880. Not listed on 1880 census, so I think the 1880 date is more probable).His sister Maude and her husband Fred McGovern were living with them.They were married by Rev. Street in Baptist Church. He was a clay mine foreman in New Florence,MO. 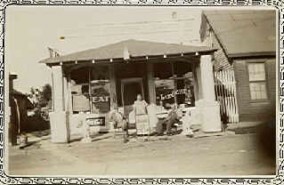 He and his wife owned a grocery store in New Florence. Also had 1878 as year of birth from family members & head stone, but death certificate gave 1877. (I don't think anyone new for sure). He was a member of the New Florence Methodist Church. He died at the Katie Jane Nursing Home in Warrenton,MO. He and his wife are buried in New Florence,MO. 5i.Charles David3 Civey, born June 21, 1899 in Kansas City,KS. ; died June 20, 1983 in St. Charles,St. Charles Co.MO.. 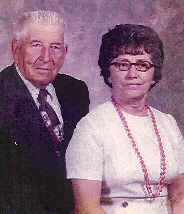 He married (1) Edna Mae Davidson August 16, 1922 in Jonesburg,MO.? ; born June 26, 1905; died July 1973 in St. Charles,St. Charles Co.MO.. He married (2) Olive Elizabeth // September 10, 1977 in St. Charles,St. Charles Co.,MO. ; born June 29, 1901 in Conquest,NY. ; died April 07, 1994 in St. Charles,St. Charles Co.,MO..
6ii.Arthur Paul Civey, born June 28, 1901 in Kansas City,Wyandotte Co.,KS. ; died June 26, 1977 in Bonne Terre,St. Francois Co.,MO.. He married (1) Ethel Pheobe Beebe April 19, 1924. 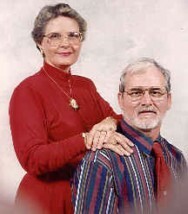 He married (2) Effie Laura Williams May 23, 1940 in St. Charles,St. Charles Co.,MO. ; born September 21, 1914 in Belleview,Iron Co.,MO. ; died May 07, 1976 in Ironton,Iron Co.,MO..
7iii.Delino Taylor Civey, born May 31, 1903 in Kansas City,KS. ; died November 11, 1918 in New Florence,Montgomery Co.,MO. 8iv.Gardner Nathan Civey, born February 09, 1905 in Kansas City,KS. ; died January 16, 1995 in Florissant,MO.. He married Marclyn Frances Webb October 14, 1930 in St. Louis,MO. ; born May 25, 1908; died September 05, 1992 in Florissant,MO..
Named after Nathaniel Gardner Hammon, father of Charles Hammon who married Emma Williams Civey. 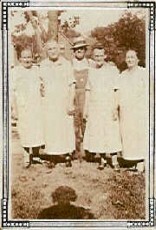 9v.Opal Mae Civey, born February 16, 1909 in New Florence,Montgomery Co.,MO. ; died August 01, 1970 in New Florence,Montgomery Co.,MO.. She married Lawerence John Whittaus July 12, 1942 in Warrenton,Warren Co.,MO. ; born December 23, 1903 in Warrenton,Warren Co.,MO. ; died October 09, 1976 in Warrenton,Warren Co.,MO..
10vi.Alberta Florence Civey, born January 22, 1911 in New Florence,Montgomery Co.,MO.. She married Elmer John Zweifel September 02, 1933 in New Florence,MO. ; born October 20, 1908; died August 27, 1999 in Montgomery Co.,MO..
11vii.Veleta Viola Civey, born April 02, 1913 in New Florence,Montgomery Co.,MO.. She married Russell Thomas Martin February 17, 1933 in New Florence,MO..
12viii.Mary Grace Civey, born February 07, 1917 in New Florence,Montgomery Co.,MO. ; died March 07, 1917 in New Florence,Montgomery Co.,MO..
13ix.Harry Paul Civey, born June 23, 1920 in New Florence,Montgomery Co.,MO. ; died June 23, 1920 in New Florence,Montgomery Co.,MO..
3. Cora2 Civey (Lem1) was born April 1, 1877 in Fort Scott,Bourbon Co.,KS., and died July 7, 1959 in Kern Co.,CA. She married John A. Millikan October 03, 1900 in Montgomery Co.,MO.. He was born October 07, 1848 in Jefferson Co.,TN., and died May 23, 1920 in New Florence,Montgomery Co.,MO.. In 1870 he came with his parents to MO. and settled on a farm north of High Hill. Buried Mt. Pleasant Cemetery near High Hill,MO. Member of Mt. Pleasant Baptist Church. 14i.Eglentine3 Millikan, born in High Hill,Montgomery Co.,MO.. This web page last updated on May 28, 2004 . This is my husband's ancestors. I have just recently (Nov. 21, 2002) had the major break through that I have been looking for. I finally found information on my husband's great-grandfather that none of the descendants knew very little about! I finally located him on the 1880 US census! in New Florence, Montgomery Co., MO. Please visit my other family web pages that I have created. Civey Home Page 2 - NEW!